Being arrested and facing criminal charges is by no mean a happy affair. Whether it was a bad day and you happened to be in the wrong place at the wrong time or it was because a portion of your life slowly spiraled out of control until you found yourself facing the law, there is hope for anyone after an arrest. As your local Lynchburg bail bond company, we are passionate about helping those in our community who have found themselves facing the stress of an arrest. We help our clients post bail quickly and affordably so that they can return home and get their life back on track. 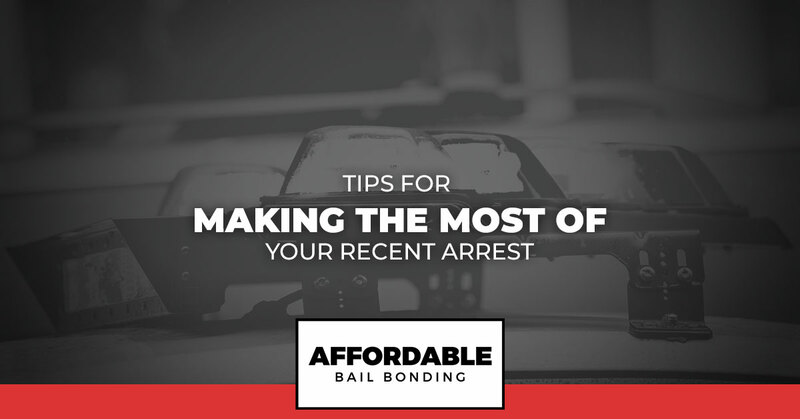 If you have been arrested recently, check out these tips for making the most out of this unfortunate situation. First off, the best thing you can do for yourself after an arrest is to get yourself out of jail. Sitting behind bars is not going to improve your scenario and can leave you in a defeated headspace. The good news is that when a judge gives you a bail amount, you have a chance to get out of jail right away. If you can’t afford bail on your own, that’s ok, we are here to help. You can contact our team at Affordable Bail Bonding night or day for assistance with bail in Lynchburg and surrounding areas. By posting bail, you can return home and start focusing on how you can improve your future. 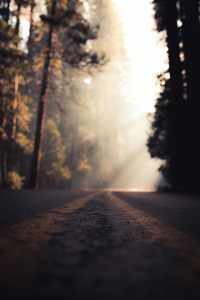 This does not have to be the end for you, but rather, this can be the start of a new chapter of your life. One of the reasons the local community turns to our team for help posting bail is because we offer judgment-free assistance. The reality is that there are many reasons that any one of us could wind up behind bars. Once you are out of jail and back in the comfort of your home, take some time to consider what went wrong and how you landed in jail. This exercise will help you build a brighter path for your future. For example, were you arrested for drinking and driving? If so, what led to your DWI charge? Do you have friends that encourage you to get behind the wheel when you shouldn’t? Are you fighting your own personal demons and use the bottle to keep them at bay? Whatever the reason for your arrest, dive into the circumstances that led up to it so that you can actually address the root of what went wrong. Next, once you have a clear understanding of how you wound up in this mess in the first place, you can start determining where you want your life to go next. Being arrested can be just the wakeup call you need to take a good long look at where you are heading. The good news is that you have the freedom to choose where your life goes next. Make a personal commitment to the path you want to take. Maybe that means cutting out toxic relationships or seeking a support group as you break an addiction. Whatever it takes, you have the power to control your destiny. Change isn’t always easy and making the most out of your recent arrest might require the helping hand of those around you. Don’t be afraid to reach out. Be truthful and honest with yourself about what you need and open up to someone you trust. Find a mentor or a reliable friend who can help you walk the path ahead. There might be dark days where you need the encouragement of someone who has your best interest in mind. There also will be days of celebration where you can share in the joys of your success with this trusted person. Whoever you choose to share your upcoming path with, make sure they are someone who will offer you constant encouragement and support. Finally, during the upcoming days, there will be aspects of your life that you can control and aspects that you cannot. The key is to focus on that which you can control and to be at peace with that which you cannot. For example, you might be facing a court date soon. While you cannot control the final say of the judge at that trial, you can control how you handle preparation leading up to the trial. You can hire an attorney to help defend you. You can ensure you stay out of trouble between now and then. And you can work on retaining a calm and focused mentality. If you have recently been arrested in Lynchburg and need bail, please contact our team for help. We can get you out of jail quickly for a cost you can afford so that you can work on making the most of the situation you are in.